Build Time: 1 minute sorting and building, each. Set Piece Count: Varies from 21 to 25 depending on figure. See pics below for exact count for each figure. As with each Halo Heroes Series before, there are 6 figures in this series. 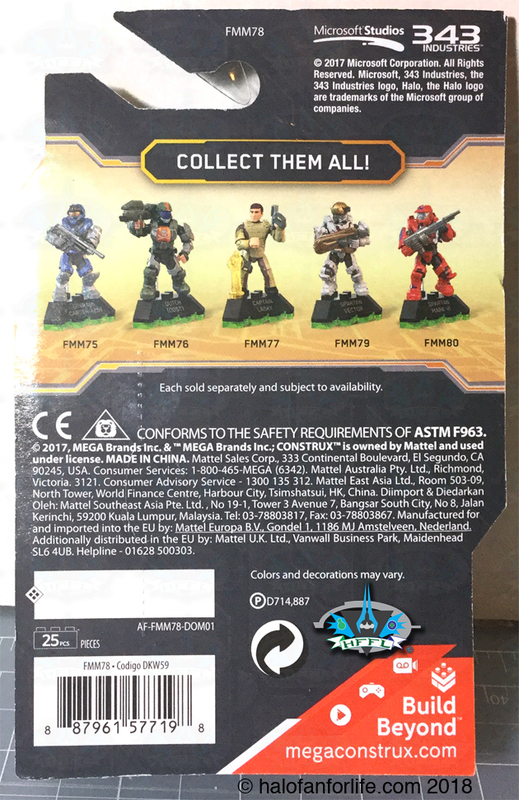 The back of each card looks similar to this, with the figures being in different positions on the back, depending on which figure the card is for. 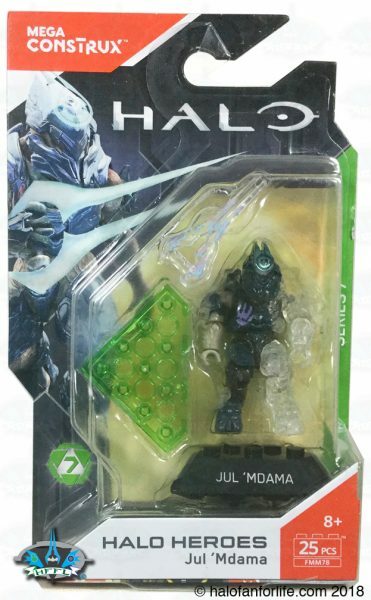 Seen below is Jul ‘Mdama’s card. Each set comes a figure stand the same as below. The exception is the corresponding character name. There is an insert sheet with each figure. It’s the same for all, no specific printing for certain characters. Now let’s take a look at the figures! 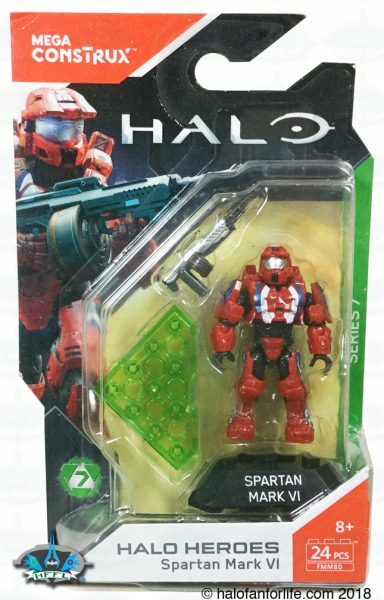 This particular Spartan Vector has more paint deco to it that it’s “Castle” counterpart. 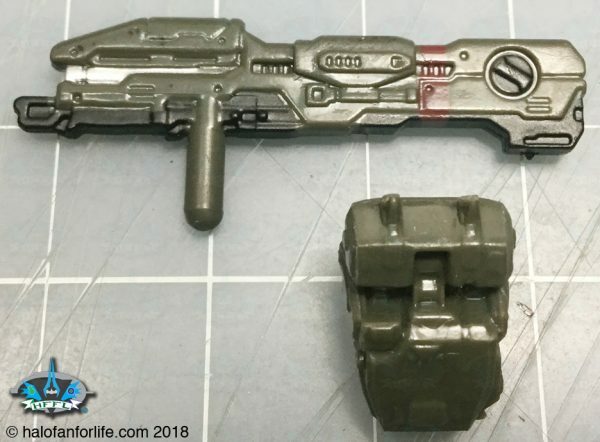 It comes with this concussion rifle. 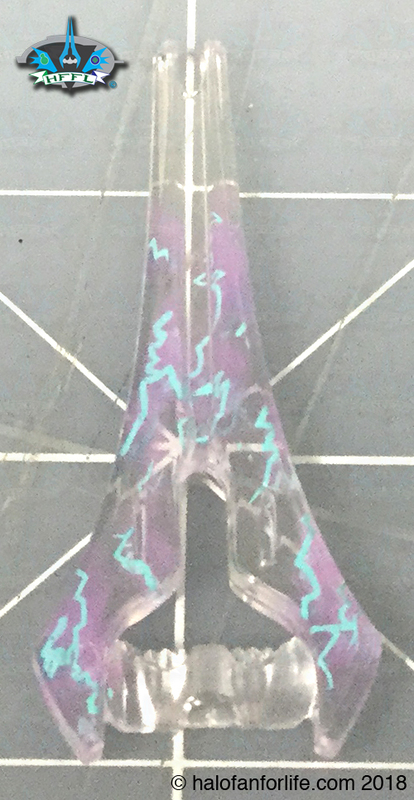 Note that this is a two-piece weapon. The very tiny conical piece in the middle is removable. Though I suggest not removing it as it can be easy to lose. As you can see below, the figure has some nice dark red decoration to it. 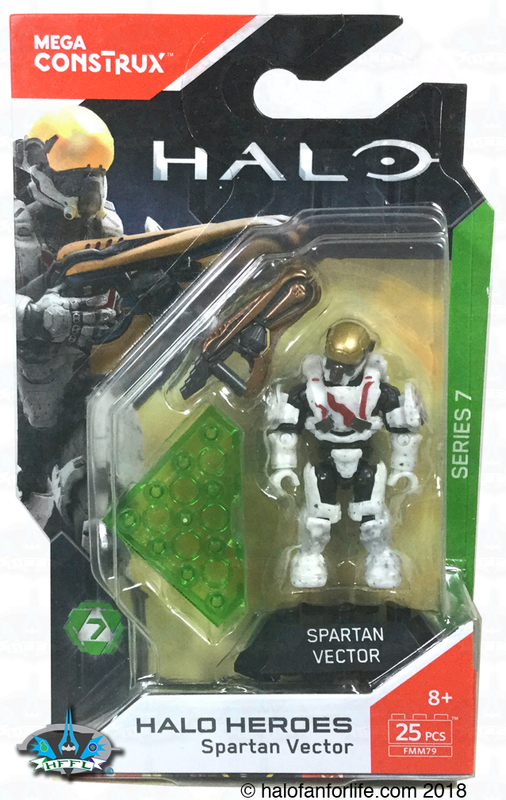 This along with the large gold visor kind of give this spartan a modern day space suit feel to it. I like it! Dutch is one of the members of Alpha-Nine. 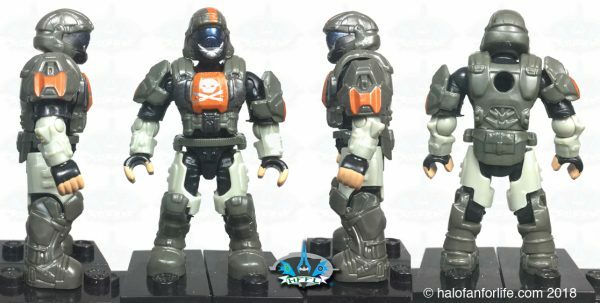 That’s also Buck’s old ODST unit. 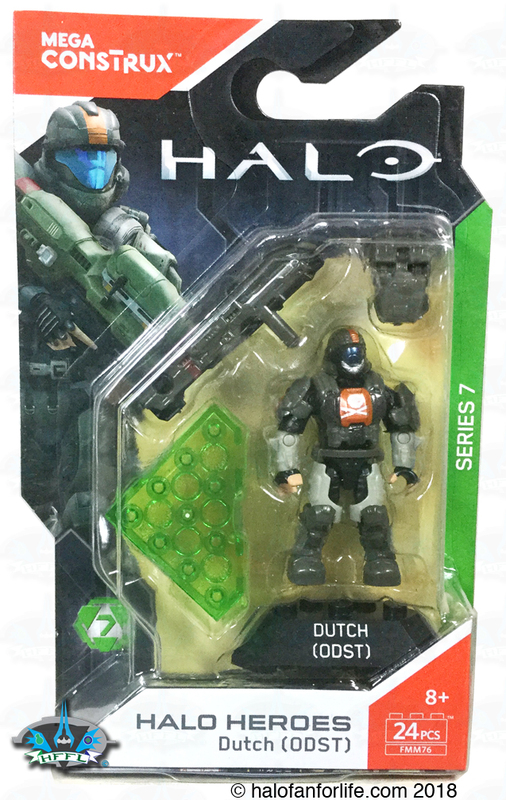 Dutch comes with a Spartan Laser and a Backpack. One thing missing here is Dutch’s signature Shark teeth on his helmet. The white deco on the mouth doesn’t quite cut it as that. Of all the ODSTs to have received the shark teeth, Dutch is the ONE who should have had it done right. 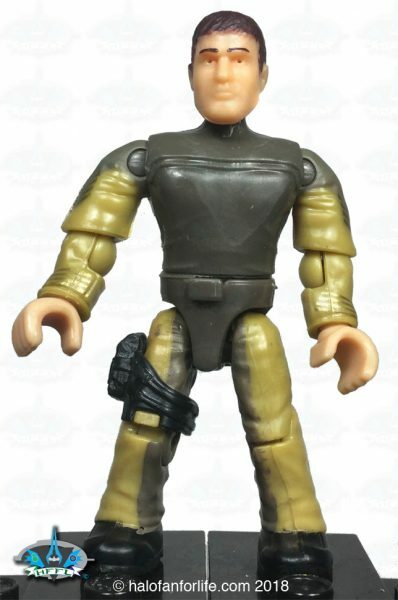 That’s my only disappointment with this figure. Otherwise, it’s fantastic! Here’s Dutch with his backpack. I’m ecstatic to have another Lasky. This time around he looks much better than the previous iteration, which you’ll see shortly. 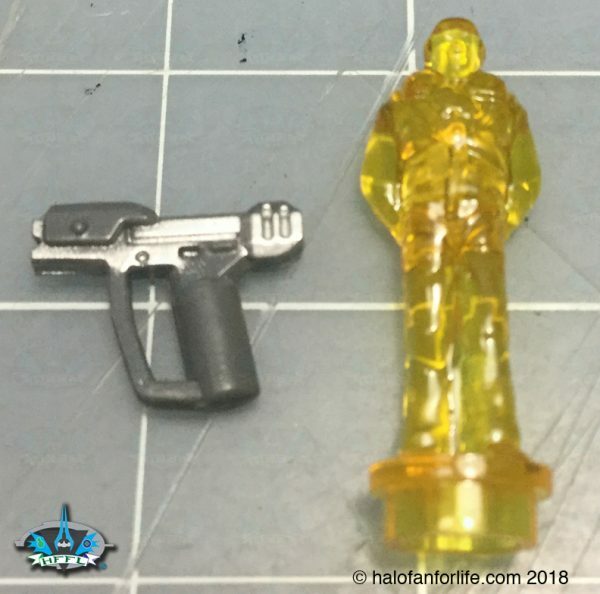 Lasky comes with a magnum and a micro Roland. 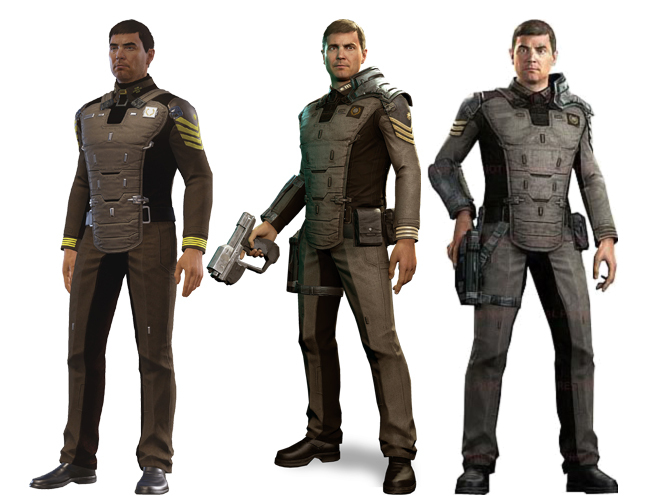 I’m just slightly disappointed with the color of the uniform. The colors is not a tan in-game as the figure suggests. It’s dark olive and grey. 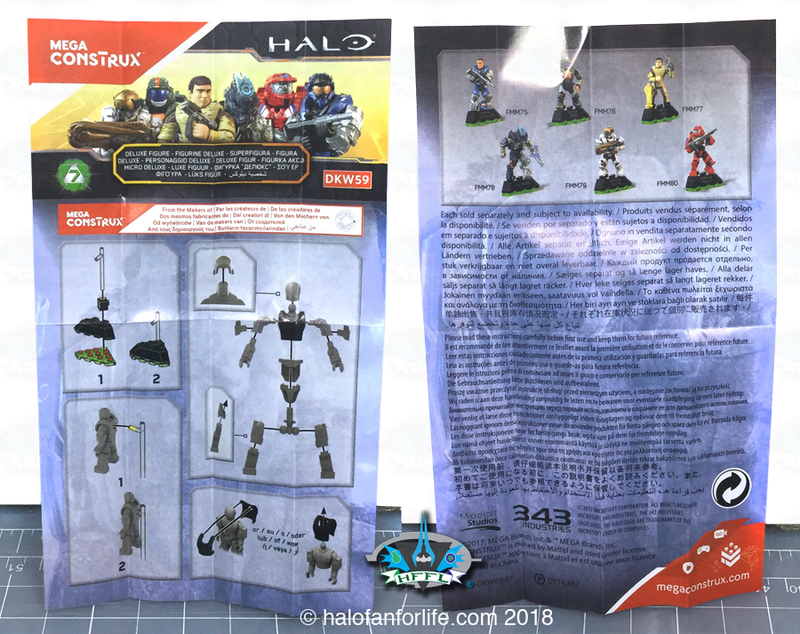 Note, below shows the Halo 5 Lasky (far left) and the Halo 4 Lasky, (middle and far right). 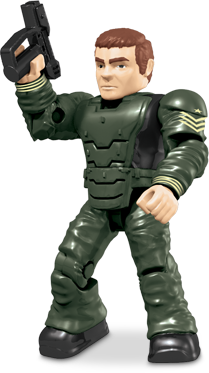 As you can see, the new figure is a vast improvement from the original release from 5 years ago. 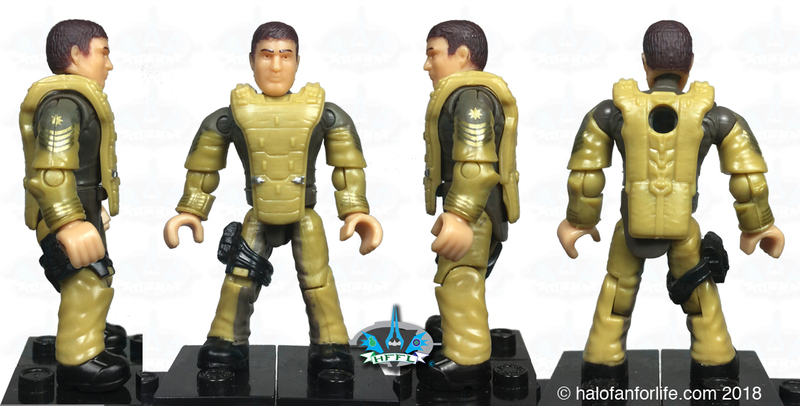 Carter was the leader of Noble Team, the Fireteam of Spartans in Halo Reach. 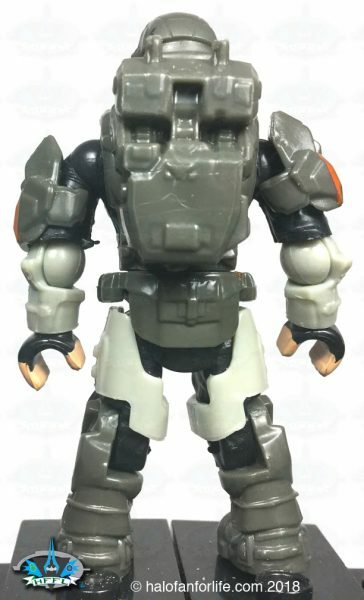 When I first heard that Mega was remaking him (He came out with the Troop Elephant, previously), AND that he was coming with his human head, I was VERy excited. 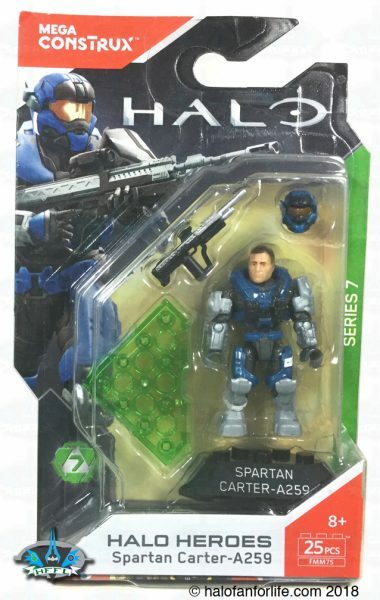 We don’t often get named characters, especially with their human head, if they are Spartans. It’s something started with Palmer was back in Halo Heroes Series 3. Here we see the included DMR along with Carter’s human head. 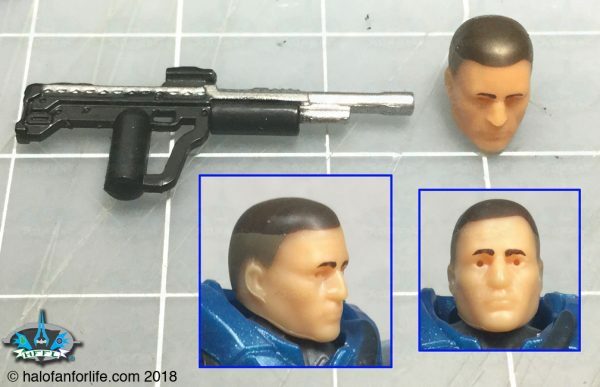 Nice detail, especially for the hair, though Carter’s hair is a ‘box cut’. The irises of the eyes are actually holes and not paint. Here is Carter in various poses. This is the Carter that came with the troop elephant. Note the distinct difference in the color of the armor as well as the added graphics for the Heroes version, above. A definite improvement from it’s original release below. 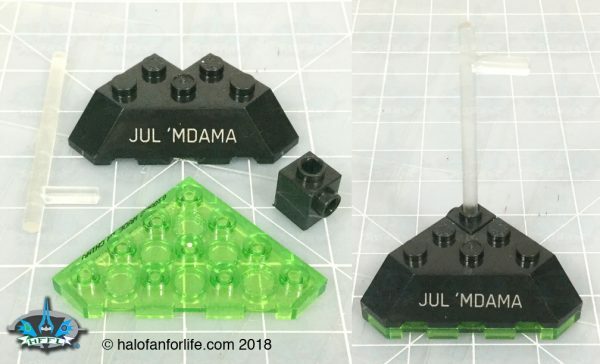 I didn’t think we’d see another version of Jul so soon. Though this one is very different in that he’s partially in active camo mode. The original one is solid and came with a Ghost. 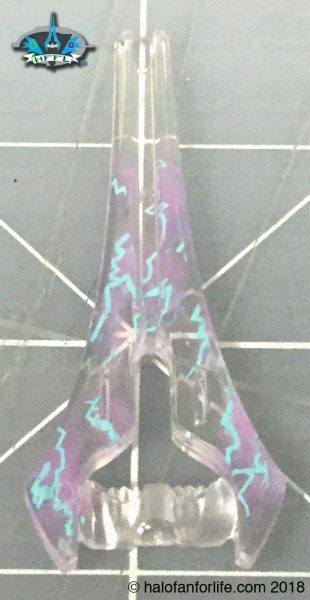 The graphics applied to the energy sword are very cool! The markings on this Mark VI armor are that of “Regent” skin from Halo 5. While not exact to the in-game model, given how small the figures are, I’m quite happy with this interpretation. The figure comes with a SAW. Here are more views of the figure to compare with the in-game model above. All the figures in Series 7 on their respective stands with their weapon. Click on the pic to see it bigger! And a final pic in an action pose. All are out to destroy Jul, upon Lasky’s order! Summary: There is next to no build time with these figures as it’s just the stand to put together. A great selection of characters from across the array of Halo lore. Overall Rating: I give Series 7, a 9.25 out for 10 medals. Why did I give it a 9.25 out of 10? I gave a rating for each figure, then averaged the final tally. Below are my ratings per figure. • Each figure with one of the weapons each $3.50 each. • The buildable stand is made of 4 pieces. Normally this would mean a value of 40 cents for the complete stand. As each stand however comes with the name printed on the large black piece, I put the value of the whole stand at $1. The price of $5 (average retail U.S. price) is just slightly over that. Since each figure comes on it’s own specific card with corresponding character artwork, I can waive the 50 cents difference in light of that. Do I recommend it? YES! 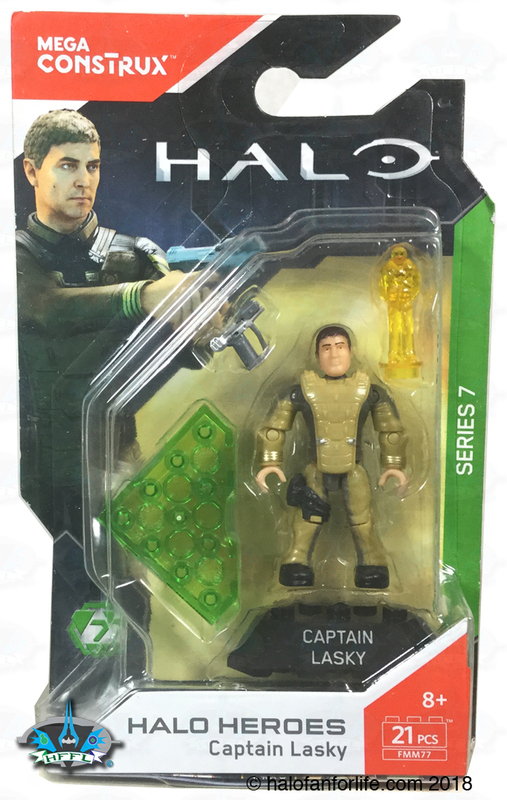 Halo Heroes is one of the very few things I collect both a carded and another to open. These IMO, are highly collectible, especially if kept in the package.